Chuck joined Pend Oreille Veterinary Service after graduating from Colorado State University in 1988. He was raised in Southern Idaho and Northern Utah. While enjoying all aspects of the veterinary practice, his special areas of interest are small animal orthopedics and the unique needs of sporting dogs. Outside of veterinary medicine and surgery, Chuck actively enjoys most kinds of outdoor activities. Bruce graduated from Ross University School of Veterinary Medicine in 1991 and joined Pend Oreille Veterinary Service in 1995. 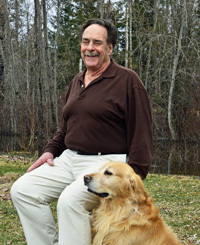 Bruce enjoys working with both cats and dogs with special interests in acupuncture and treating exotic animals. When not at the clinic he enjoys spending time outdoors. Skiing, hiking and canoeing are just a few of the activities that Bruce enjoys in his spare time. 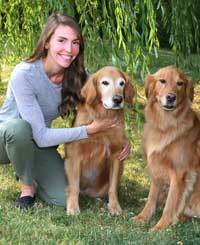 Dr. Shelby Johnson received her DVM from Oregon State University in 2015 and quickly relocated to beautiful Sandpoint, as has been her dream for many years! 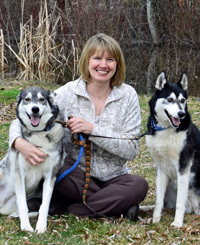 Her interests in veterinary medicine are wide and include dentistry, pain management, medical acupuncture and nutrition. In her spare time she enjoys hiking with her husband, Bret and their three husky mixes(Miller, Ferrous and Gigi), Nordic skiing, jigsaw puzzles, playing golf and sewing. Dr. Laurel Sundberg joined the Pend Oreille Veterinary Service team in June 2018. She graduated from Colorado State University and happily relocated to Sandpoint to be closer to family and enjoy the beauty of the inland Northwest. Her interests include cardiology, anesthesia, soft tissue surgery and the exciting variety of small animal general practice. In her spare time, Dr. Sundberg enjoys running, hiking, and spending time with her husband and two beloved Golden Retrievers.